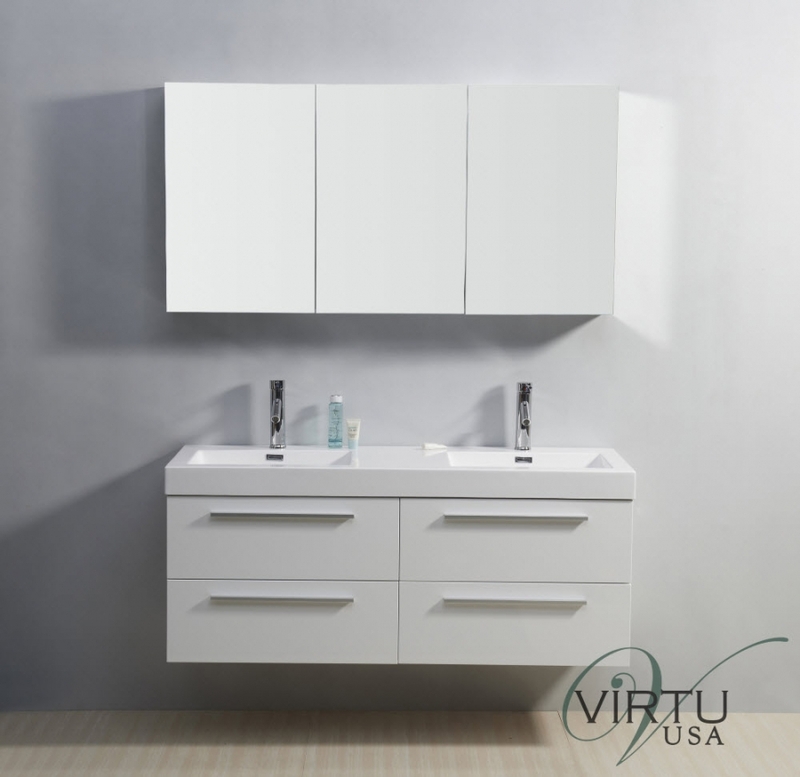 Four drawers in this wall mounted bathroom sink vanity provide ample storage space that is easy to access with the soft close guides. 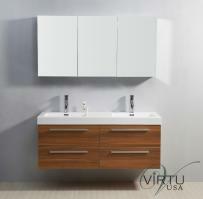 The white color of the finish will go well with any dÈcor and enhances the modern design. 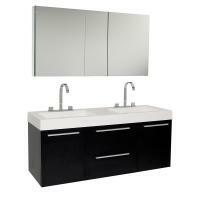 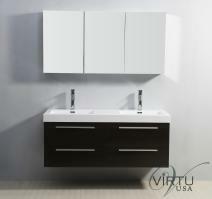 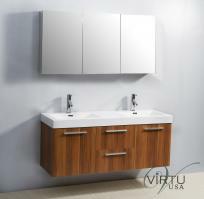 Double sinks add to the functionality of the piece.